It's the 80th episode of The Brülosophy Podcast, which means it's time for another Brü & A! Contributor Brian Hall joins Marshall to answer listener questions about a wide range of topics. The Brülosophy Podcast is brought to you by Imperial Yeast who provide brewers with the most viable and fresh yeast on the market. Learn more about what Imperial Yeast has to offer at ImperialYeast.com today. It's the 70th episode of The Brülosophy Podcast, which means it's time for another Brü & A! In this episode, contributor Jake Huolihan joins Marshall to answer listener questions about a range of topics. On a recent October morning, founder of Brülosophy and host of this here podcast sat down with Patrons to answer questions about anything they felt like asking. These private Q&A sessions occur on a monthly basis and usually involve guests much more interesting than Marshall, people like John Palmer, Vinnie Cilurzo, Dr. Charlie Bamforth, and Gordon Strong, to name a few. To learn how you can get involved as well as about all the other rewards you can receive for helping us bring you this show, visit PATREON.COM/BRULOSOPHY now! While on a recent visit to Yakima, WA for hop harvest, Brülosophy contributors Brian, Malcolm, and Marshall sat down with the dudes from Yakima Valley Hops to talk about their history, hop harvest events, and some of the stuff they've got planned for the future. Also chiming in are the folks from Yakima Craft Brewing, a local brewery who brews wet hop ales every year. It's our 60th episode, which means it's time for another Brü & A! Contributors Malcolm Frazer and Brian Hall join Marshall to answer listener submitted questions live from the floor of Yakima Valley Hops. The Brew Brotha, Shannon Harris, and some friends from Yakima Craft Brewing also chime in. One time every month, Patrons of Brülosophy have the opportunity to ask questions of known people in the brewing world such John Palmer, Michael Tonsmeire, and Vinnie Cilurzo. Recently, Brülosophy contributor, Malcolm Frazer, sat down for about an hour to answer Patron questions, covering a wide range of topics, and we figured we'd share it with all of our listeners! If you enjoy what you hear and want to help us to continue producing this content, head over PATRON.COM/BRULOSOPHY to view all of the rewards you can get for your support. Boiling wort is viewed as one of the more important parts of the brewing process, responsible for driving off DMS and ensuring the proper OG is hit. In this episode, contributor Ray Found joins Marshall to discuss all that happens during the boil as well as some interesting exBEERiments they've performed on the topic. It's episode 50, which means it's time for us to answer listener submitted questions. In this episode, contributor Brian Hall joins Marshall to respond to questions about tangy off-flavors, going pro, shipping beer, and more! Episode 037 | Quick Sour Beers w/ House Of Pendragon Brewing Co.
For our 20th episode and the last one in 2017, Malcolm joins Marshall to answer a bunch of listener questions covering a wide spectrum of topics, from volume prediction issues to vegetarian approaches to cleaning beer quickly. Don't forget to send your Brü & A questions to feedback@brulosophy.com and we'll be sure to answer it in a future show! Episode 014 | Pumpkin Beer! Episode 005 | Does Mash Temperature Matter? Episode 004 | Does Fermentation Vessel Matter? Episode 000 | The Brülosophy Podcast Is Coming! 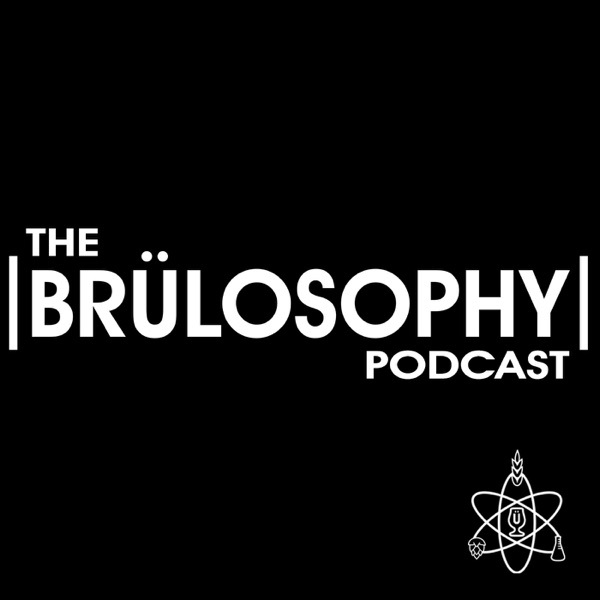 We're excited to announce The Brülosophy Podcast! In this very brief episode, we go over our plans for the podcast and what you might expect to hear in the future.